LOOKING FOR UPDATE 0.8.0 NOTES? CLICK HERE! Steam 'Early Access' users will receive this update later today, Tuesday May 8th, 2018. Xbox 'Play Anywhere' players can also expect this patch to hit their consoles or Windows 10 machines later today, Tuesday May 8th, 2018. Rovers are now more configurable than ever! 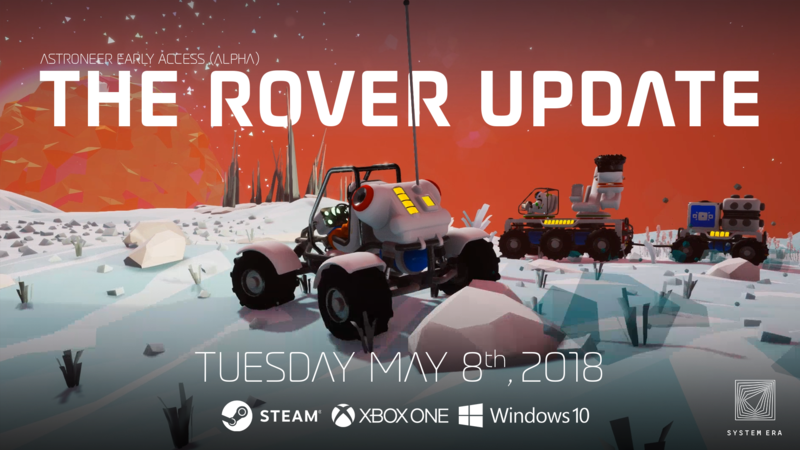 The Rover Update contains a new vehicle, updated driving controls, new methods to use rovers in fun ways, and a ton of performance upgrades! 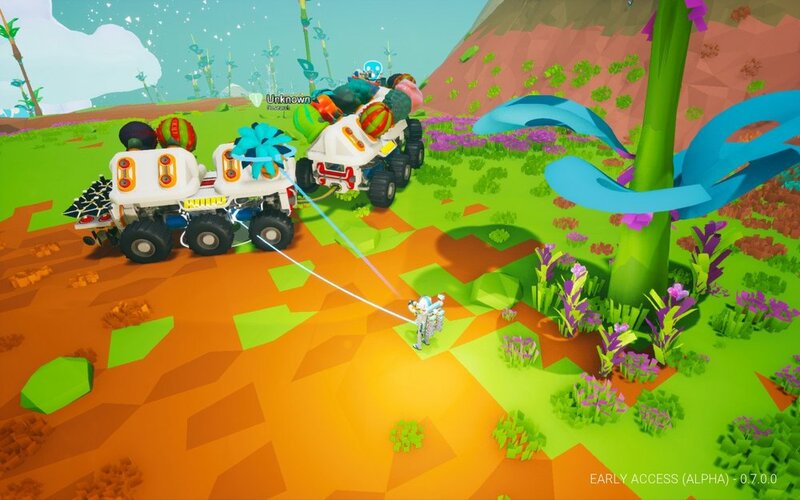 The Small Rover has been added to the game. It is available in the Catalog for 1000 Bytes and prints from the Vehicle Bay for 2 Compound. Absolute Steering has been implemented for vehicles. Vehicles are now controlled by the movement keys regardless of camera position! 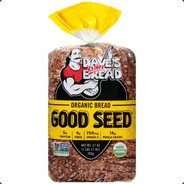 (WASD by default on keyboards, and RT / LT and the left thumbstick on controllers). Absolute Steering is enabled by default as of this update, but players may change back to the original camera-directed steering mode by disabling Absolute Steering in the options menu. The physics model for Rovers has been overhauled. Lateral friction has been added to wheels to prevent rampant sliding. Drag force has been added to Rover acceleration for a more natural velocity cap and more natural steering at high speeds. Acceleration forces now take contact normals into consideration to allow wheels to “roll” over smaller obstacles instead of plowing into them. Contextual Button activation have been implemented for vehicles. Certain items attached to the Auxiliary Slots on vehicles can now be activated by pressing the Contextual Buttons (Z / X or RB / LB by default). More items, such as the Drill and Winch, will become usable in this way in future updates. The Thruster has been revised to work better with Rovers. Have fun! Can now be toggled using the above Contextual Buttons when attached to the Vehicle Auxiliary Slots. Applies a more balanced force for better in-air stability. Can now accelerate Rovers above their max drive speeds. 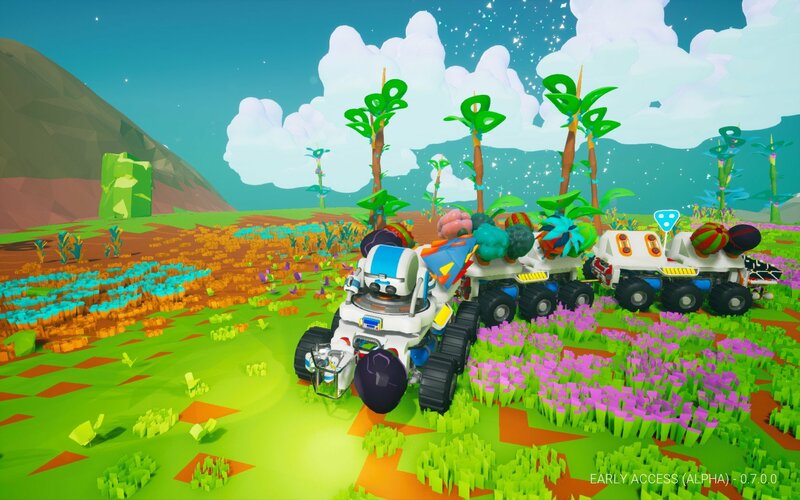 The research cost and recipe of the Medium Rover has been adjusted. 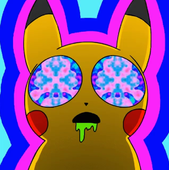 Its cost is now 3000 Bytes (up from 2000 Bytes) and requires 2 Compound and 2 Aluminum to print. The built-in batteries on the Medium and Large Rover have been tuned to require more active power sources. 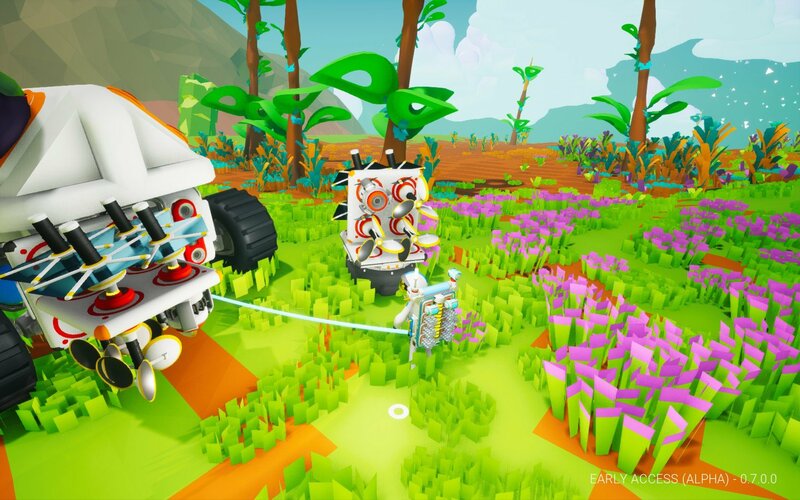 The primary reason for the power and recipe changes is to further differentiate the roles of the Medium and Large Rovers from the Small Rover. The Small Rover is intended to be used a light exploration vehicle, while the Medium and Large Rover are meant to serve as heavier haulers and mobile bases. We have made a number of improvements to performance on both PC and Xbox, particularly targeting very large save files and multiplayer games. Specific areas of focus include infrastructure refactors and fixes, removing unnecessary animation overhead, reducing the processing cost of deformation, and optimizing older assets that have not been updated in quite some time. This is an ongoing effort that will continue throughout Early Access, but this latest effort should be noticeable for players on the Xbox in particular. Xbox One now utilizes DirectX 12, further improving rendering efficiency on Xbox One and will allow for future rendering quality improvements. Xbox One X and Xbox One S consoles can now play the game in HDR. Please calibrate your monitor using the default Xbox One calibration screen prior to launching the game. The ‘Flatten Mode’ on the Terrain Tool has been adjusted to provide more consistent results at any angle. Reward tables of Discoveries have been updated with new items. Additional Quick Help screens have been added to the game to help you after the initial Tutorial experience. Press F1 on your keyboard or the Menu button on your gamepad to check them out! Upgraded game engine to Unreal 4.18. Fixed a number of issues with wheel collision which were causing Vehicle wheels to stretch in strange ways. These fixes should greatly reduce the number instances of stretchy wheels. [AS-2597] - Fixed a bug where some Fabricators displayed nonfunctional contextual verbs. [AS-2622] - Fixed an interaction bug where the 'Exit' prompt displays instead of 'Enter' when one or two seats of a 3-Seat attachment are occupied. [AS-2637] - Fixed a bug where a player could not operate Winch if another player occupied vehicle it was attached to. 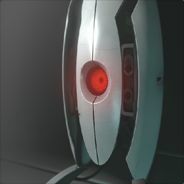 [AS-2647] - Fixed an intermittent bug where the Client players model did not appear to animate to the Host player while using the Terrain Tool. [AS-2675] - Fixed an issue where Vehicles became embedded in certain kinds of terrain when printed from the Vehicle Bay. [AS-2689] - The Habitat side slots can once again hold resources and other 1-slot items. [AS-2690] - Fixed an annoying bug where the Vehicle Bay became inoperable for the Client player if the Host was using the control panel while the Client was joining the game. [AS-2691] - Fixed a bug where a non-functional ‘Enter’ command appeared when hovering over another player’s Drop Pod in Multiplayer. [AS-2736] - Fixed a graphical corruption in the power conduit material. [AS-2754] - Fixed a minor issue with Research rates showing decimal places off-screen on the control panel. 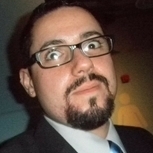 [AS-2844] - Fixed an issue where players could infinitely replicate smelted items. Sorry, not sorry. Fixed a number of localization bugs in the “Learn More” help screens. Audio might become muffled after an Astroneer dies. We are working to resolve this issue. Thanks for reading! Hope everyone has fun driving the new rover! We will talk again around E3 edit: and also here is the trailer! From now on the "Small Rover" shall be known as the "Dune Buggy". Looks ace, thanks SE team! Though prob past my bedtime UK time ? Awesome, can't wait to get home and test out the new Small Rover. I was getting a bug with the medium rover where I couldn't enter the one-seat unless I detached it, and then immediately reattached it. Was this fixed as well? 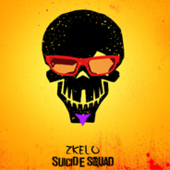 This trailer is epic, thank you for posting. Love the extra at the end! cool deal, to the little rover we go. On PC i already see the performance improvements. especially with a large number of tethers deployed. The built-in batteries on the Medium and Large Rover have been tuned to require more active power sources. Alright, I stop playing the game until the Medium and Large rovers require LESS active power source. You are completly missing the point. By making this worse, the fun is gone. I do not think they're missing the point. The point has been explained. The small rover is for scouting around, anything larger should require some maintenance to be able to move. They were already annoyingly easy to power. Though I think one small generator still would do the job. Either way, the rovers are coming with in-built batteries despite not needing lithium to be build. IMO they shouldn't have any batteries at all unless equipped with one. 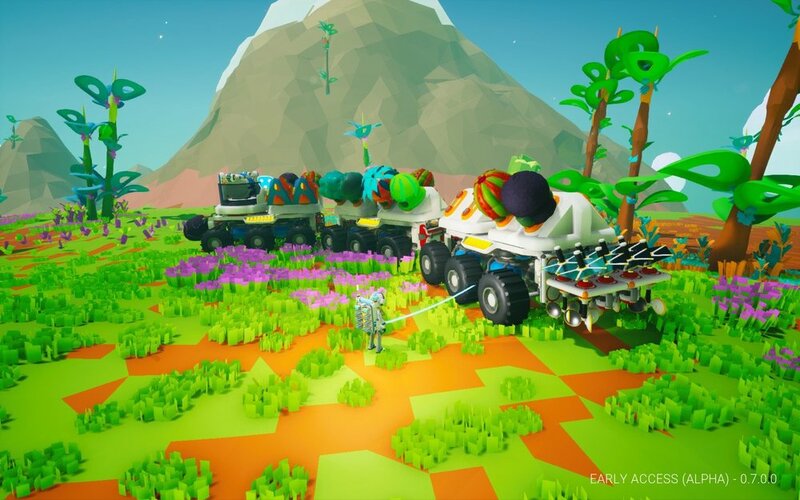 Rovers should be more capable to be used to harvest ressources far away from your ground base and not to build a complete base on wheels. And I really enjoy to harvest. Rovers 3x and 5x bigger than the small rover cannot have 3x and 5x bigger built-in batteries capacity!? I'm out. Thank you for ruin this. Love the new steering. It's been a long wait but better late then never. I was kind of disappointed but not surprised that they didn't implement the handbrake or even a parking brake on the buggy. I went up a hill and jumped out and I literally raced the buggy all the way down the hill. As for the handling, I don't know if it's good or bad but very difficult to roll or flip. Tried to make it roll backwards when climbing steep hills but it just didn't want to go. You pretty much have to be going straight up the curved incline to get it to roll backwards. Same when driving sideways on the hills, just couldn't get it to roll over. Perhaps there's a reason why they did this. Another thing I found kind of annoying, I was constantly ending up doing wheelies but for some strange reason, the buggy's engine gets disabled when the buggy is in a upright position. It would be so easy to get out of that situation by just backing up. Flipping the buggy is also a pain sometimes because it just seems to spin multiple times and land sideways or upside down. Maybe what is needed is something similar to the platforms. When you pick up a platform that is upside down, it rotates quickly at the beginning then slows down when it's close to level. Implementing this on the buggy or rovers would greatly increase the possibility of landing level. And last but not least, entering or flipping. 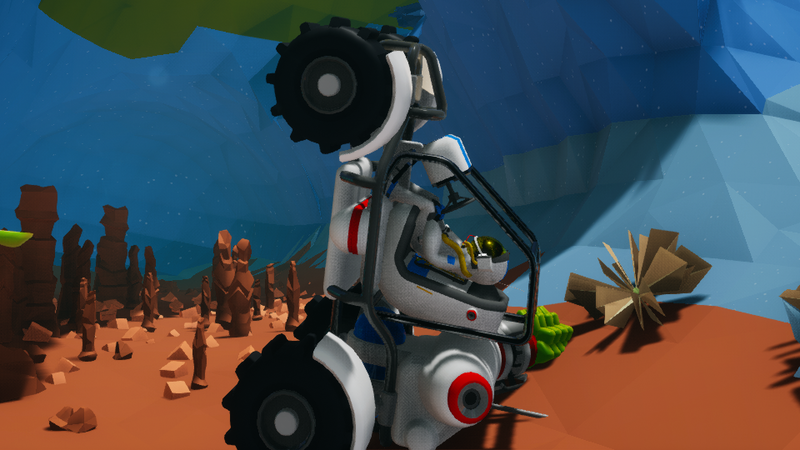 This makes absolutely no sense to have two options when the buggy or rover is upside down or disabled. Only one option should be working and that is flipping. It's not like you can drive away or spin the wheels. Overall loving the new buggy and the steering. Too bad the open one seat doesn't have collision like the rest of the buggy, it would sure make for some awesome looking rollovers down a hill. You're talking about one slot out of a maximum of 72 with one seat . That's about 1,4% capacity lost. Depending on how the energy usage changed, it may even be 2 slots (2 small solar panels should be ok, worst case you use 4 of them on a storage). That's still roughly 2,8% capacity lost. I get your concern, but in this particular case it just it's just too small to be an issue...because it actually isn't one. PS: If you "abuse" the seat placement, you even can go up to 88 slots, not counting your backpack and inventory tool which would make a total of 101 small slots available for resources (minus 2 or 8 for energy, depending on what you prefer). And that's for one rover. You can chain up to 4, that would make a total of 389 slots available (including one seat, including the fact that you [normally] cannot use the sides that are used to chain). You could go all out and go for two medium solar panels or one medium panel and a large battery and would only waste about 4,1% capacity. Loving the Small Rover but am not clear how you attach power to it. I mean, I have a small solar and a small wind turbine attached to its two ports, but if it's nighttime and there's no wind, you're stuck. Am I missing something? Just make yourself a small generator and grab some organic and away you go or pick up some power nuggets in the cave. Yeah, thanks, I was hoping they'd put a couple of ports on the back so you could attach a medium battery. Los rovers fueron ﻿suficientes para usar para recolectar recursos lejos de la base del suelo y no para construir una base completa sobre ruedas. Y realmente disfruto cosechar. Rovers 3x y 5x más grandes que el pequeño rover no pueden tener 3x y 5x más capacidad de baterías incorporadas? Estoy fuera. Gracias por arruinar esto. "The built-in batteries on the Medium and Large Rover have been tuned to require more active power sources." In part I support your argument, I also like to collect objects but the battery of the vehicles is too short, I can not go into a cavern and go down a hill of 100 feet with 2 EMPITY cars without using external batteries. No, because that would also allow you to carry one research module, or a medium storage in those same two slots. It is meant to be a scout vehicle, you find stuff, then go back with one of the other rovers to pick up what you've found. it is very slow compared to previous vercion, but also a little erratic, reaching a rewind if you do not look ahead at the same time. THE NEW ONE is functional but also slow when turning. Me too! Look at this shiny mobile research station I got here, and it always has enough power! This "Research Train" looks nice. When i will have few minutes to play i will expand my rover fleet. Need to specialize them for recon, research, mine resources and dig dirt. I was waiting for rover fix from DEV'S to be sure that my rovers won't fell down or fly away. Now i think it is safe to build few additional "wheelers". Thank you for this update. But there is one thing that I don't like. After the update, when I get out of the rover, he continues to roll somewhere by inertia. Earlier on I'm leaving it, the rover remained exactly at the place where I left it. Can I make that rover is automatically "fixed" on the place where I leave it when I exit it?